Costume Quest has no regional restrictions - REGION FREE, and can be activated in any country. Language game - English, French, German, Italian, Spanish !!! Russian language is not in the game !!! 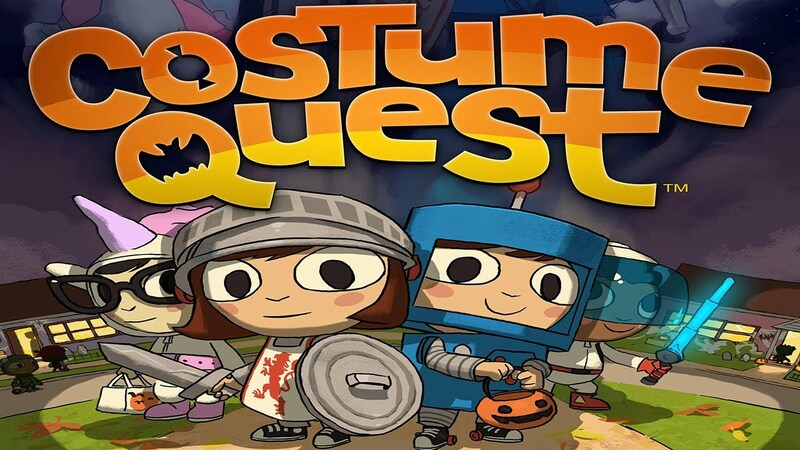 Costume Quest is an adventure on Halloween theme from the company Tim Schafer´s Double Fine Productions. In this fascinating role-playing game, you can choose your character and try povyprashivat sweets on three wonderful locations that are full of fun and interesting stories with humor. Go through all the quests, summon friends and collect all the costumes for your journey, which will allow you to become the really powerful war against evil in the country Repugia. This heroic tale Sunday amaze children and those who are still in the soul of a child. Continue the Costume Quest adventure game with a free supplement "Grubbins on Ice"! Fight new enemies, collect additional quests, costumes, battle for the brand and creepy card. Help the monsters overthrow villain Araxia, to bring peace to the republic Repugia!